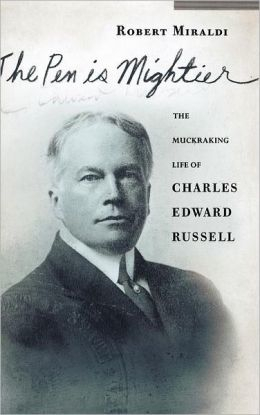 Charles Edward Russell was a muckraking journalist who exposed the dark underside of America’s class system at the turn of the 20th century. The scandals he revealed through investigative reporting led to some of the most important and largest reform efforts of the period, in areas such as housing, prisons, and race reform. A Pulitzer Prize winner, author of 27 books, and a founder of the NAACP, Russell has nonetheless faded from public view. In this book, Robert Miraldi restores him to his rightful place in history. Miraldi’s biography of Russell sheds light on the Hearst and Pulitzer newspaper empires, the growth of yellow journalism, and numerous scandals of the period (including Lizzie Borden’s murder of her parents and the gruesome details of the Chicago meatpacking industry). It also provides a fascinating look at the growth of the American Socialist Party, of which Russell was an active member until he resigned when his pro-World War I stance brought him into conflict with other members of the Party. From the beginning of his career, as a young man reporting on sports for the New York Herald Tribune, Roger Kahn labored to create literature. After painstaking research and observation, he would sit down at his desk and “write like hell,” working to turn everyday events into art. For the next fifty years, he never stopped. Today, Roger Kahn is arguably the greatest sportswriter of his generation. Most famous for his modern classic, The Boys of Summer–hailed by James Michener as “the finest American book on sports”–Kahn is the author of eighteen books and the only baseball writer to have had three titles on the New York Times bestseller list. While he is best known for his “sweet ear” for America’s national pastime, Kahn did not limit himself to baseball. With his literary style of reportage, he explored the depths of basketball and boxing, Judaism and McCarthyism, and even poetry in an unforgettable interview with one of his heroes, Robert Frost. Beyond the Boys of Summer presents a showcase of fifty years’ worth of Kahn’s celebrated work. Uniquely organized around life’s stages–from youth to old age–the book brings you face-to-face with some of the greatest names in sports, including Muhammad Ali, Jack Dempsey, Kareem Abdul-Jabbar, Willie Mays, and Pete Rose. Beyond sports, Kahn takes you back to the tumultuous days of 1968 to witness the violent protest of a student rebellion. He brings you to a bar mitzvah for a hilarious and controversial look at the Jewish ceremony. And he invites you for a quiet walk through the tree-lined streets of Brooklyn, where his father instilled in him an undying love for baseball. 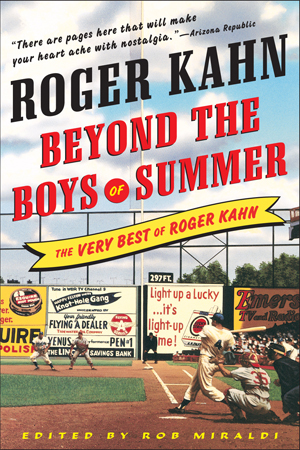 Harking back to a time when newspaper writing was an art form and Roger Kahn was one of its most accomplished masters, Beyond the Boys of Summer is nothing less than a literary accomplishment of the highest order. An anthology of major writings on war and its consequences by Sydney Schanberg — spans four decades of work by one of the major war correspondents of the 20th century. 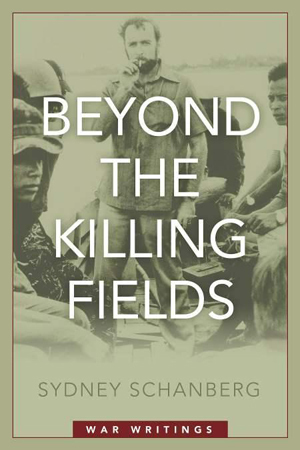 This is the first book to include the group of New York Times articles which describe, first-hand, the fall of Cambodia to the Khmer Rouge in April 1975, for which Schanberg was awarded the Pulitzer Prize for International Reporting “at great risk.” In addition, it includes his signature article “The Death and Life of Dith Pran,” on which the Academy Award-winning film, The Killing Fields, was based. The film starred Sam Waterston as Schanberg and the late Haing Ngor as Sydney’s Cambodian colleague Dith Pran.In addition to Cambodia, this anthology includes Schanberg’s eye-witness accounts of the bloody Bangladesh struggle for independence from a brutal Pakistani regime which ended when the Indian army invaded to help the Bengali fighters and the Pakistanis surrendered. Also here are dispatches from the front lines in Vietnam during the Communists nearly successful 1972 offensive. Here, too, is Schanberg’s extensive investigation of Vietnam POWS left behind by the Nixon Administration as well as his commentary on the Iraq war; both expose secrets and deceptions by the government.